66 years, 7 months, 28 days old age. Vijayakanth will turn 67 on 25 August, 2019. Only 4 months, 2 days, 1 hours, 57 minutes has left for his next birthday. Vijayakanth has celebrated the total number of 66 birthdays till date. See the analysis by days count and bar graph. Vijayaraj Azhagarswami Naidu was born on 25th August 1952 in Madurai in the state of Tamil Nadu in India. He is better known by his screen name Vijaykanth. He is an Indian Actor and Politician. He has worked in Tamil cinema and serves as a statesman in Tamil Nadu. He founded a front called Desiya Murpokku Dravida Kazhagam and was a former MLA from Rishivandiyam constituency. He always dreamt of becoming an Actor and to pursue an acting career he entered the industry, he made few alterations to his name and changed it to "Vijayakanth", taking the "raj" out of his name and suffixing it by "Kanth," by director Khaja. He was also referred as "Captain" which derived from one of his most famous films Captain Prabhakaran. Vijayakanth is one of the rare Tamil speaking actors who has worked only in Tamil movies in his entire career, though his movies have been dubbed into other languages like Hindi and Telugu. Most of his movies are based on patriotic plots about a corrupt Indian politician, terrorist, or mafia dons troubling the Indian people and Vijayakanth getting back at the culprits single-handedly. He is also famous for acting in movies based on the subject of Indian villages; most of them did fairly well across Tamil Nadu. Vijayakanth has starred in several hit movies namely Vaidegi Kathirundal, Vallarasu, Chinna Gounder, Sethupathi IPS, Captian Prabakaran, Vanathai Pola, Ulavu Thurai, and Sabari to name a few. He formed his own political front Desiya Murpokku Dravida Kazhagam (DMDK), a regional political party in Tamil Nadu in 2005. His party had nominated contestants in all 234 seats in 2006 state elections but managed to win just one seat, which was contested by him. He was born to K. N. Alagarswami and Andal Alagarswami. He is married to Premalatha Alagarswami. 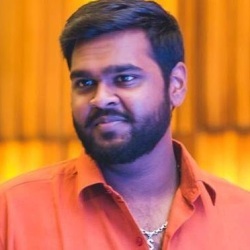 He has two sons named Shanmuga Pandian, is a Tamil film actor and Vijay Prabhakar Alagarswami.